Las Vegas is well-known for its gorgeous views and exciting night life, but there is not a whole lot of great things to say about the water supply. This is because Las Vegas water comes from Lake Mead, a body of water that receives snowmelt that runs down the Rocky Mountains and into the Colorado River. While this natural process is beautiful to behold, the water picks up minerals as it flows through the mountains and streams that eventually end up in your water at home. Water that has high levels of minerals such as calcium and magnesium is called hard water. Although this might not pose a major health problem, hard water causes other issues at your house. For instance, the high concentration of minerals leads to build-up in your plumbing that shortens the lifespan of the pipes and appliances such as your hot water heater. Fortunately, you can prevent these problems by using special water softener and conditioning systems that remove these minerals before it flows from your faucets. Watch for these signs of hard water at your house to find out if you need to have your supply’s harness levels tested. Extremely high levels of minerals in your water can cause unpleasant sensations. For instance, water that is high in iron may have a metallic taste. A rotten egg smell can be caused by bacteria mixing with magnesium to generate sulfates. Either way, water should be odorless and have a pleasant flavor. You clean your bathroom regularly, but your bathroom toilets look as though they haven’t been scrubbed in years. Hard water leaves ugly redbrown streaks in toilets that are difficult to remove. Although you can use special cleaners or vinegar to remove the stains, softening your water supply stops the issue at its source. Hard water poses several problems for bathing. The minerals in the water interact with the soap, and this causes issues with being able to develop a good lather. You may also notice that it is harder to rinse soap from your hair and skin, and the residue left behind can lead to skin rashes and trouble styling your hair. Over time, the minerals in hard water also build up and create clogs in the showerhead. You may see this on the surface of your fixtures as white or beige deposits. These clogs lead to weaker water streams that further reduce the effectiveness of you showers. The same scale deposits that build up on your showerhead also accumulate throughout your plumbing system. As the clogs get big enough, you may have problems with frequent water backups or low water pressure at your faucets. Certain minerals in the water can also lead to faster corrosion in the pipes. Home appliances also suffer from the effects of hard water. For example, sediment builds up in your hot water heater faster, which can lead to costly replacements. Hard water can also impact the icemaker in your refrigerator because the deposits create clogs that can stop it from being able to make ice. Since hard water is less effective compared to soft water at rinsing soap properly from surfaces, you will notice film building up faster throughout many areas of your house. For instance, your dishwasher will leave white spots on dishes, and your bathtub will need serious scrubbing to eliminate rings. 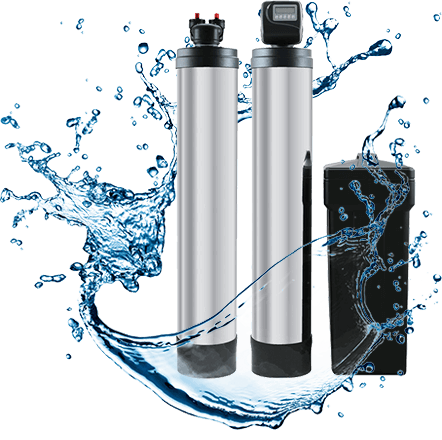 At Green Living Water Solutions, we have a variety of water softening and conditioning systems available to suit any household’s needs. Contact us for water testing today. We work with an american manufacturer so they can get their parts here in America. We offer 100% financing so your water softener is well within budget. Contact us today for your water analysis by calling us at (702) 563-4404. Call us at (702) 563-4404 or fill out our online form. 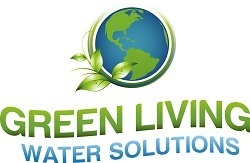 At Green Living Water Solutions, we know water!